So, the other day I was trying to explain to C the significance of Mother’s Day since this is the first year she’s actually kind of aware of this, the High Holy Day of maternal sacrifice. 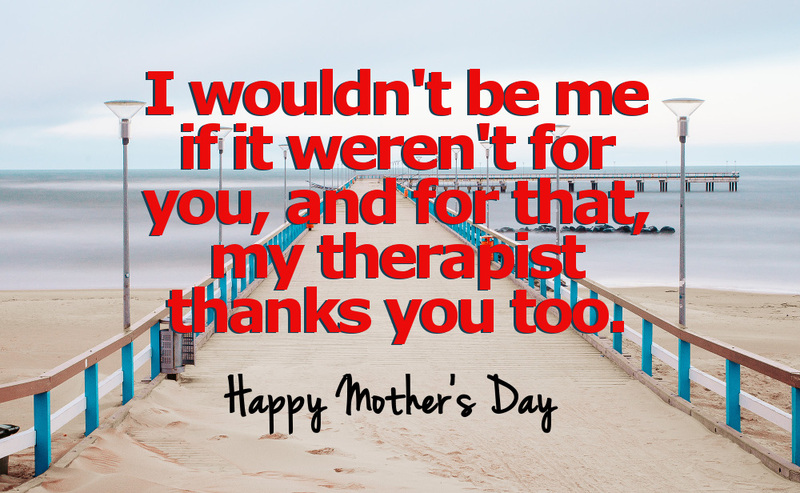 I told her that it’s a day when we think about how much we love our moms and thank them for all they do. She looked at me blankly as she is wont to do when I explain highfalutin concepts of love and fidelity. 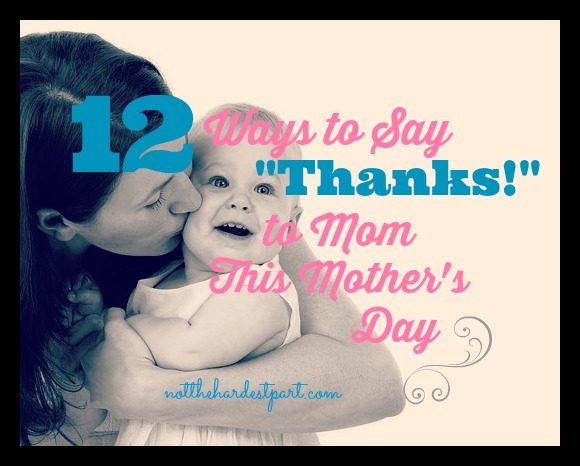 Sure, there is a lot of flowery language that we can assign to our love for our mothers. There are expensive brunches that could be eaten whilst wearing big hats, too. But is that what we really want? Maybe not. Maybe our primal desire is to simply go to Target and drink Starbucks in peace, if for only one day. 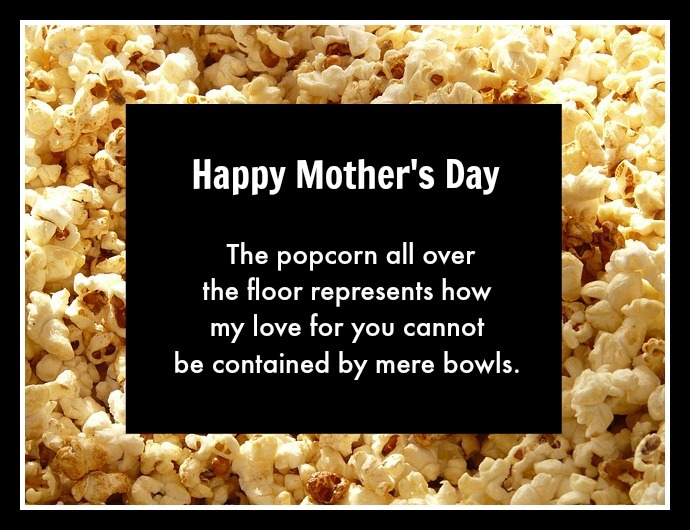 With that in mind, I have asked some of the funniest, smartest moms I know to create the Mother’s Day cards they would want to receive this Sunday. Ashley, Kelly, and Meredith kindly obliged. I’m guessing you’ll identify with some of these sentiments. 1. 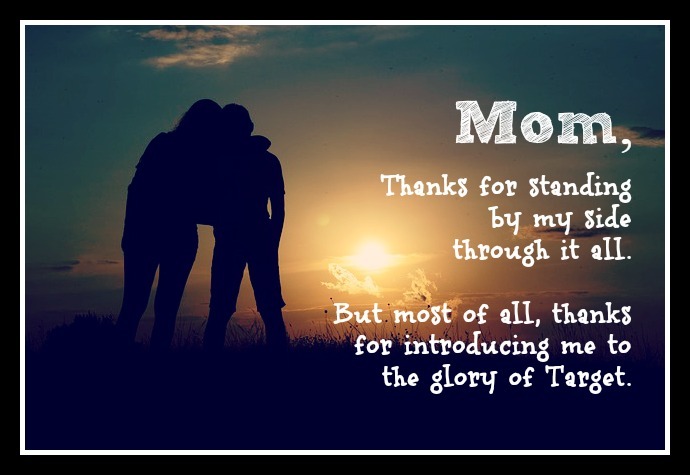 Say “thanks” instead of “no” for once in your life. 2. Remind her that there are symbols of your love everywhere. 3. Thank her for showing you what really matters in life. 4. Charm her with sentiments best suited for poetry. 5. 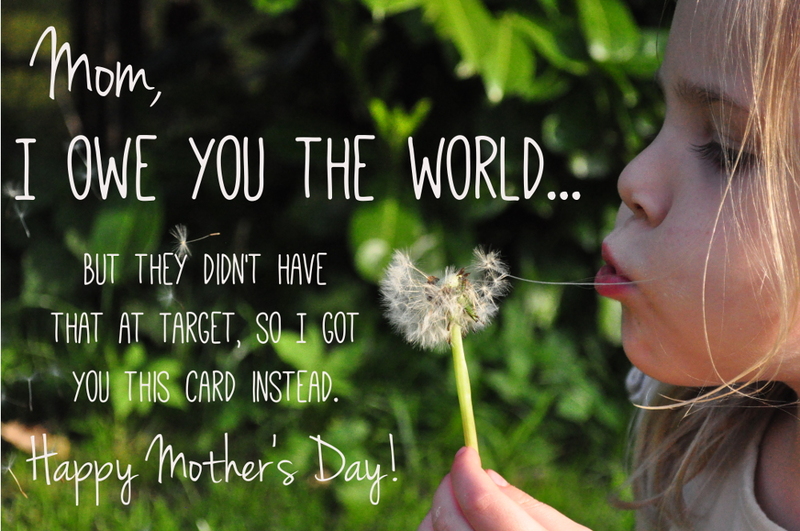 Remind her (gently) that her obsession with Target may be ill-founded. 6. 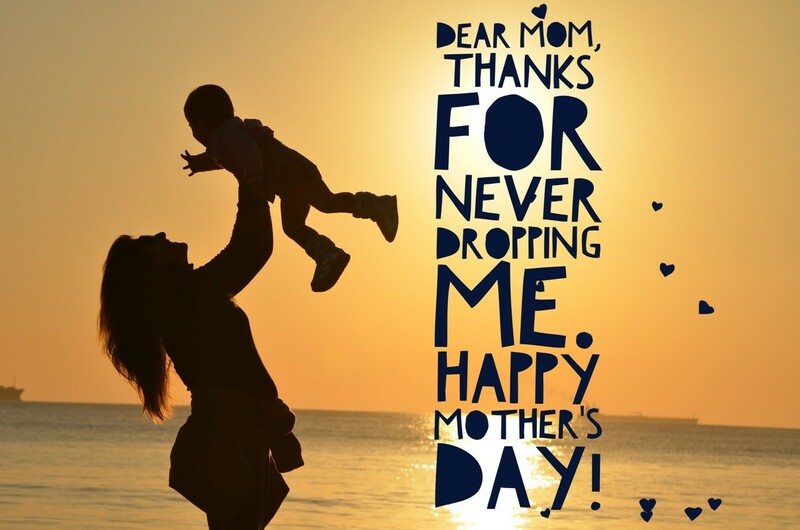 Say “I love you” to the woman who blessed you with good looks and a whole mess of neurosis. 7. Give her the gift that keeps on giving: your absence. By Kelly @ Are You Finished Yet? 8. For the one who sacrificed her most sensitive bits, sacrifice 3.8 seconds of your time. 9. And flatter her through imitation. 10. 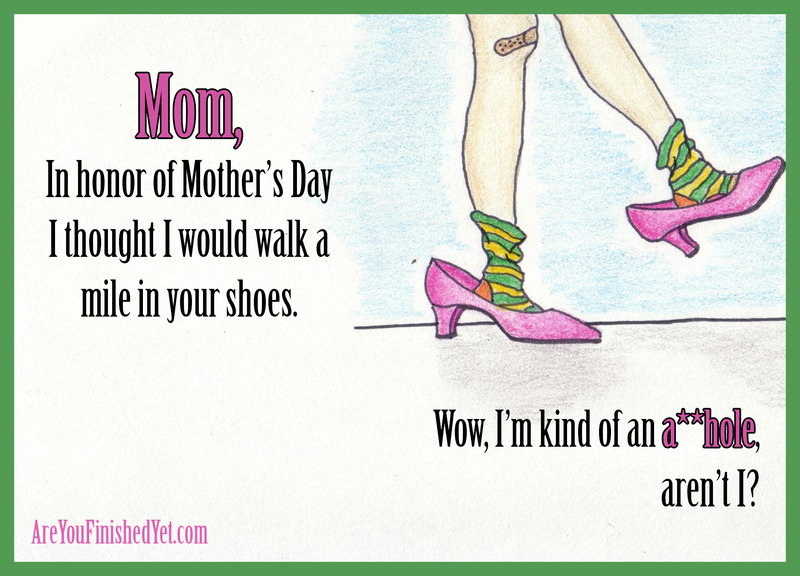 Show Mom that she’s raised a lawyer. Next stop: White House. 11. Show some love to the lady whose sense of equilibrium has always served you well. 12. And most of all, keep her hair from going gray by keeping those secrets to yourself. Love these cards? 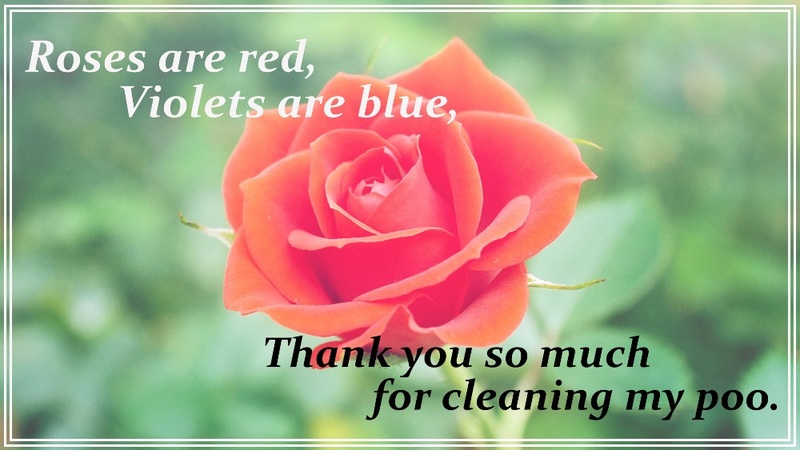 Want to purchase a printable version for the amazing mother in your life? We thought you might! Hop over to our Etsy store to purchase a printable copy for only 2 buckeroos! Best part? 100% of the proceeds will go to Every Mother Counts, an organization dedicated to making pregnancy and childbirth safe for every mother and baby. 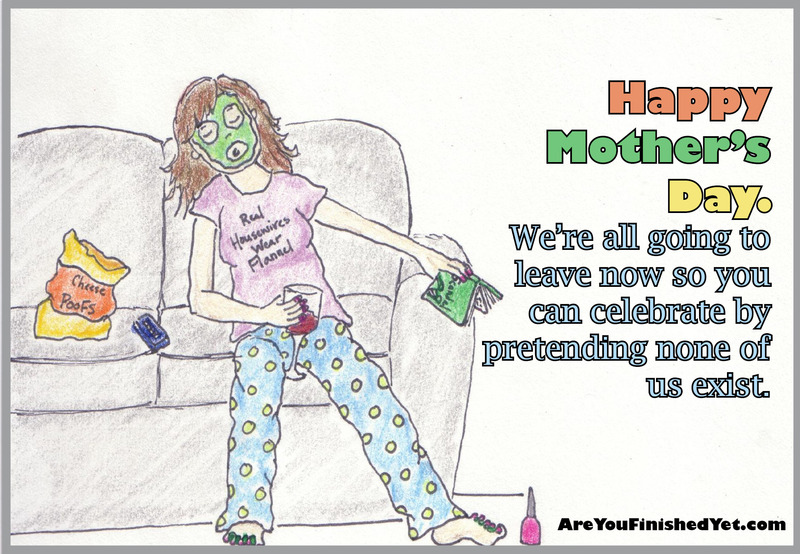 I made some Mother’s Day cards with my good pal Emily and a few other genius women. Go check them out! 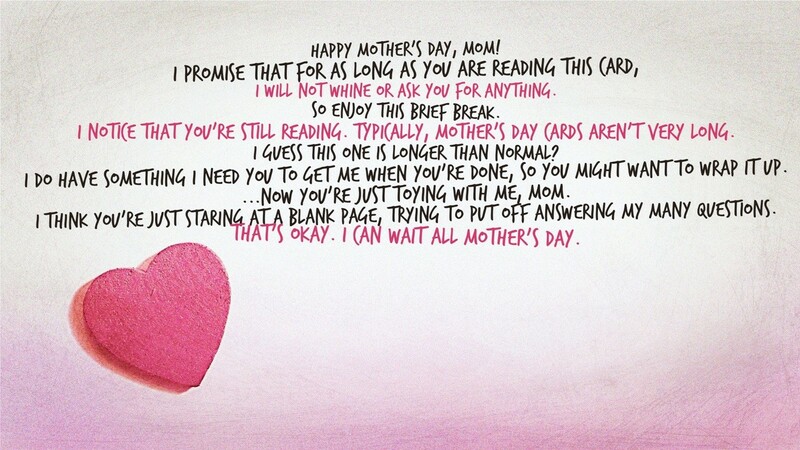 If you’ve looked through all the racks at Target and still haven’t found the perfect Mother’s Day card, try one of these suggestions from The Waiting and friends. #10 completely describes my life! My kids promised to not fight with each other on Mother’s Day which basically means I’m going to get nothing (except for maybe a 3.8 second card). Hilarious cards, ladies. I needed the laugh! I laughed out loud at #10 as well. Especially since fighting is my kids’ favorite new past time. Ugh. It’s worse than ever. Awesome post. Thanks for sharing ! Clearly you have some very talented friends and a very generous heart! Happy Mother’s Day Emily, Kelly, Ashley and Meredith! Hahaha! I loved number 6 for reasons! This was great.